My Little Slice of Bliss: Ways With Washi: FLOWERS + a Giveaway! Good morning, DeNami friends! Can you believe that autumn has officially arrived? I can't believe that it's already time for my September edition of Ways With Washi! I thought that this time around we could take a look at using washi tape to create different styles of flower embellishments. Here, let me show you what I mean . 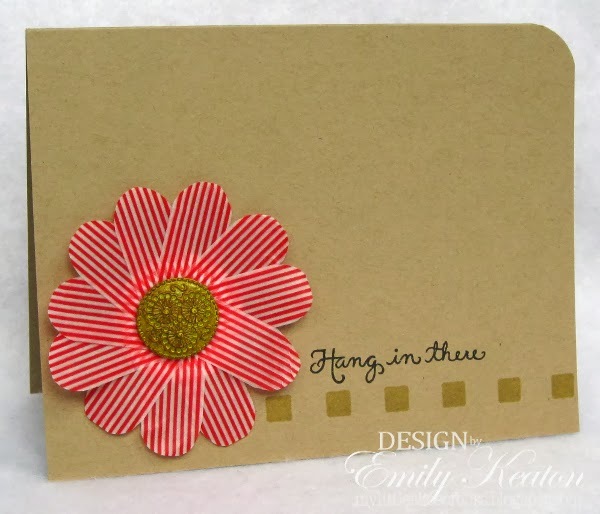 . .
For my first project, I used strips of DeNami Red Stripes washi tape to create a cheery floral focal point for a clean and simple encouragement card. I started with long-ish strips of washi tape that I folded over on themselves, being careful to leave some adhesive exposed at one end. Then I used scissors to round one end of each strip and adhered them (using each strip's exposed adhesive tab) around a circle punched from cardstock to form the blossom. The last step was to add a pretty decorative brad in the flower's center and attach it to my card! Next up is a loopy washi tape flower. For this embellishment, I turned to DeNami Orange Stripes washi tape for the job. To make the petals for this beauty, I folded long strips of washi tape in half lengthwise before doubling them over and adhering them to a punched cardstock circle. I anchored everything with a pretty pearl brad in the center. 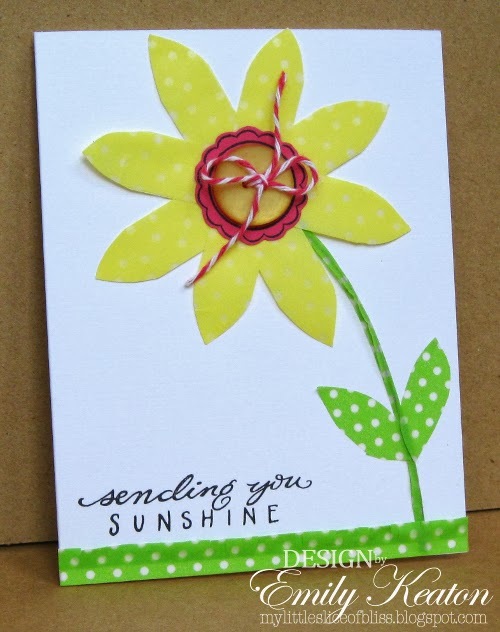 Finally, I pressed some DeNami Yellow/White Dots washi tape into service for a sunshiny daisy. I used an approach similar to the one I used for my first card, but trimmed each washi tape petal to a point this time around. For the daisy's center, I stamped a Circle Scallop on magenta cardstock, cut it out, and finished it off with baker's twine tied through a DeNami boutique button. I covered some wire with Lime/White Dots washi tape for a stem. And because you are so sharp, I'm sure you spotted some more Lime/White Dots washi tape used for the leaves and grass ;). I hope you've been inspired to pull out your washi tape to try making some flower embellishments for your paper-crafted projects! I'll leave commenting open until 11:59 p.m. EST on Wednesday, September 25, 2013, and will draw one commenter at random. The winner will be announced right here on my blog on Thursday, September 26, and if I'm able to find an email address, I'll be sure to contact the winner as well. You've done some nice projects. I have not tried washi tape. I'm way behind the times! Lovely cards. Crafting is so much fun with AUTUMN in the air. THanks for sharing. 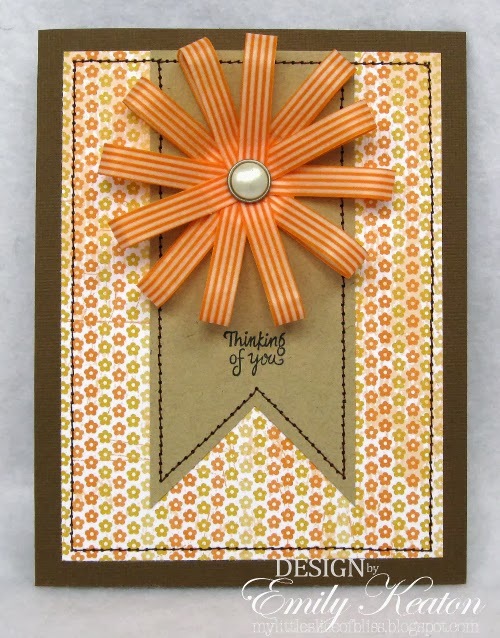 I love the orange stripe washi used on that card. The color is perfect for all those AUTUMN cards that I have to get made. Thanks so much for a chance to win some. I love the red washi flower most of all and how neat that you made a washi stem on the last card. All are great cards!! Beautiful cards! I adore washi tape! Lovely cards! I think the orange stripe washi tape would be perfect for AUTUMN cards. I follow with GFC as Sue D.
Seeing these flowers has me ready to try my own. Thanks for the chance to win - can't get enough Washi tape. You never cease to amaze me with your Washi projects Emily!! These are awesome, love the loopy flower! Amazing work with the washi tape Emily! I love the autumn colors of the washi tape you used! Very creative use of the washi, Emily! Love the autumn colours you used to create the flowers. Those are beautiful cards for AUTUMN! Actually I love washi tape and you have inspired me to try something new. 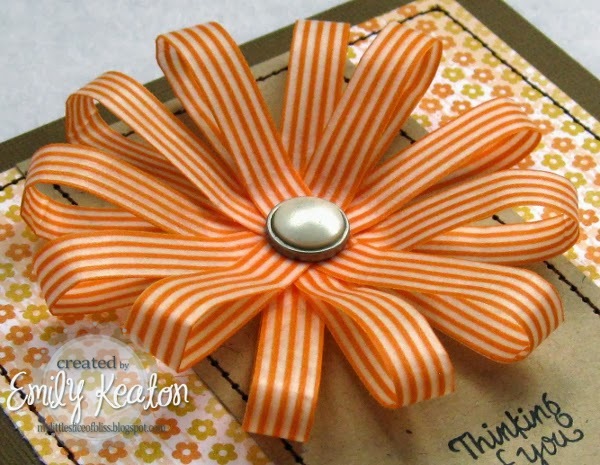 How clever you are to make flowers from washi tape. I've never seen this done before. These are so cute. The timing is perfect for this beautiful AUTUMN day. Hope I win so I can try this. Thanks for entering me in your giveaway. Autumn is my favorite season to scrap in...not hot, not cold--love it! Your cards are gorgeous---perfect for the fall theme! I am a follower---and love it! I love the autumn colors! Beautiful washi flowers! You have made AUTUMN even more beautiful with these flowers!! I follow with Google Friend Connect!! Hi Emily! Your cards are so pretty. You have really taken to the washi tape trend. I love how creative you are with the stuff. I keep trying to work it into my projects. Your stripy posies are lovely and how cute is that polka dot design! Cute Emily!! LOVE the loopy flower!!! 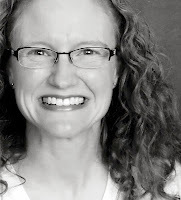 Just yesterday after I posted on your blog, I learned how to follow people. So I just signed up as a follower and can't wait to see what else you do. I do love the washi Autumn flowers. They are so clever. Autumn is my favorite time of the year. Love how you use the Washi tape on your cards. I love Autumn- looking forward to the Fall colors! Loving the inspiration showing me different ways to use my Washi - I will be using these techniques!